On Wednesday the 14th of May 2014 Startupbootcamp Amsterdam, Europe’s most successful startup accelerator, organizes the Partner Sneak Preview! The Partner Sneak Preview connects the startups to you, being a potential client or partner, Make sure you’re one of the first to catch a glimpse of these very promising startups, see their products and get in touch with the enthusiastic and promising entrepreneurs. 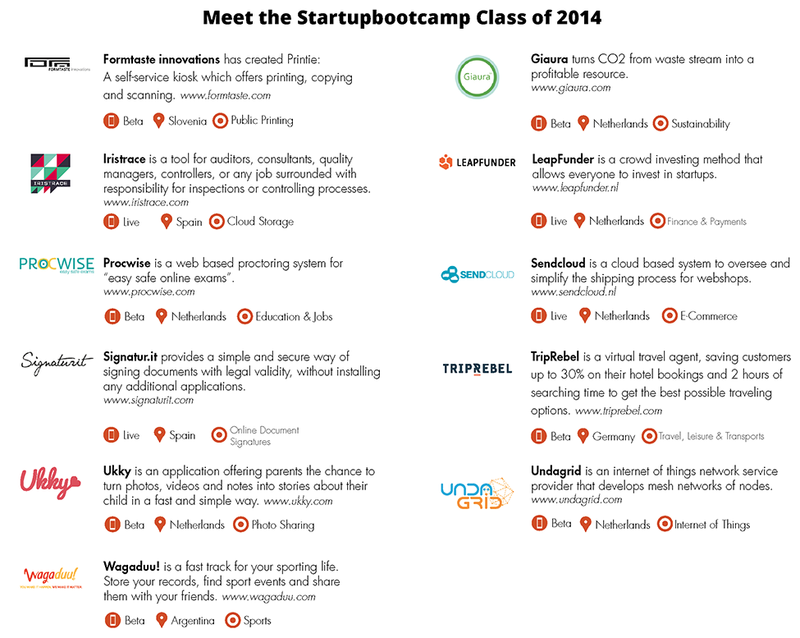 At the bottom of this invitation, you can find an overview of the 11 startups participating in the Startupbootcamp 2014 program. The program includes pitches by each of the startups followed by a short Q&A. Drinks and snack will be served afterwards and there will be plenty of time to mingle with the startups and peers. Please send an e-mail to Renée Guldemond (renee@startupbootcamp.org) to sign up. We hope to see you the 14th of May!